Manchester City winger Raheem Sterling has emerged as a surprise target for Arsenal in the winter transfer window. 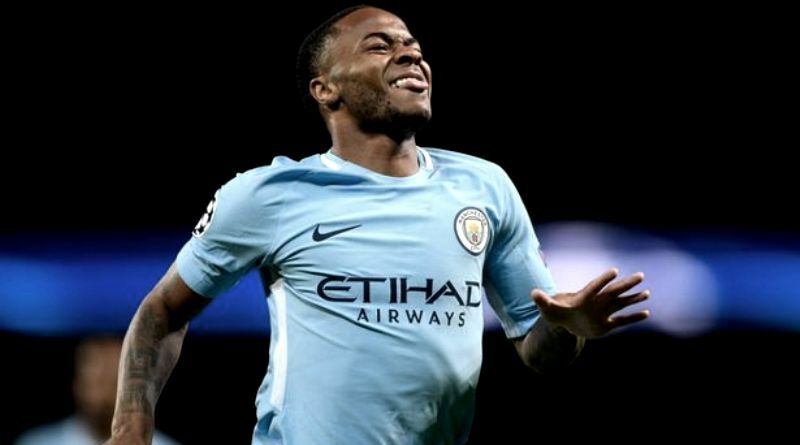 Arsenal will look to sign Manchester City winger Raheem Sterling, according to the football transfer rumours in British media. The England international has joined Manchester City from Liverpool for a fee in the region of 63 million euros in July 2015. The 22-year-old has a valid contract with Manchester City until June 2020. Since his arrival from Liverpool, Raheem Sterling has scored 31 goals and provided 34 assists in 109 games for Manchester City, including 10 goals and 3 assists in 15 games in all competitions this season. The 22-year-old is considered to be one of the best wingers in England. The England international has been in impressive form for Manchester City this season. Raheem Sterling has represented England at Under-16, Under-17, Under-18, Under-19 and Under-21 level, winning 29 caps and scoring 7 goals, before making his senior international debut in November 2012. As a member of England national football team, Raheem Sterling has won 35 caps and has scored two goals. Adding a winger remains Arsenal’s top priority this winter and Arsene Wenger will have drafted a shortlist of a number of possible targets he could approach in the coming weeks. Arsene Wenger has always been a manager who keeps his eyes on the most talented young players across the globe. The England international is thought to perfectly fit the profile of attacking player Wenger wants to target in the winter transfer window. Arsene Wenger is a long term admirer of Raheem Sterling and believes he can get the most out of the England international. Arsenal will be desperate to make an impact in winter transfer window. According to the report in British media, Arsenal will demand Raheem Sterling in swap deal as Manchester City plot Alexis Sanchez move. Arsene Wenger recently hit out at Sterling for ‘diving’ in Manchester City’s 3-1 win against Arsenal and he remains a huge admirer of the England international, but Guardiola is unlikely to allow him to leave midway through the club’s title challenge. It will be interesting to see what happens when Arsenal come calling for Raheem Sterling in January.